I got a bit behind schedule this week with some other projects but I was able to recover half of the time this weekend and get the cervicals done. Now Tapejara has a neck, as shown in the picture above. 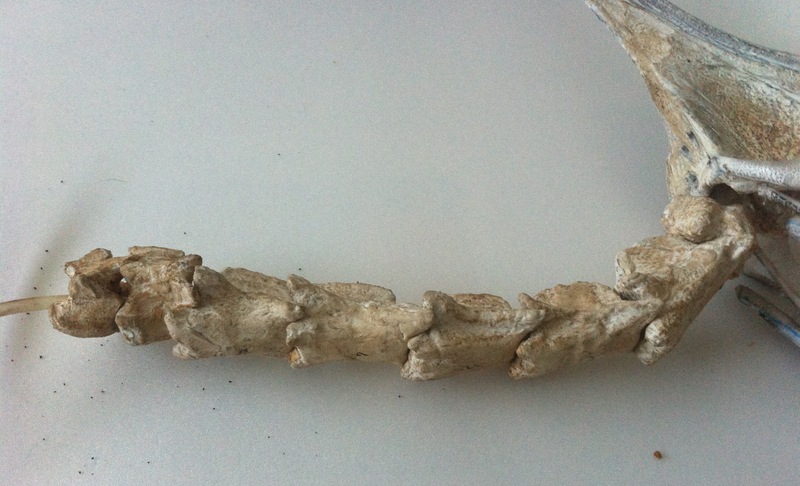 I started gathering all the data I had which included cervicals from 4 different specimens. The SMNK specimen is smaller than the others. I used the IMCF specimen as a reference, double checked by comparing the size of the cervical vertebra in the AMNH specimen. I also used Tupuxuara vertebrae (from IMCF 1052) scaled to the same size as the Tapejara because of its better resolution and because it has a complete collection. But the IMCF, SMNK and AMNH vertebrae are all proportionally a bit longer and narrower than the Tupuxuara vertebrae, so I made considered that as well. Here I placed all of them in scale. 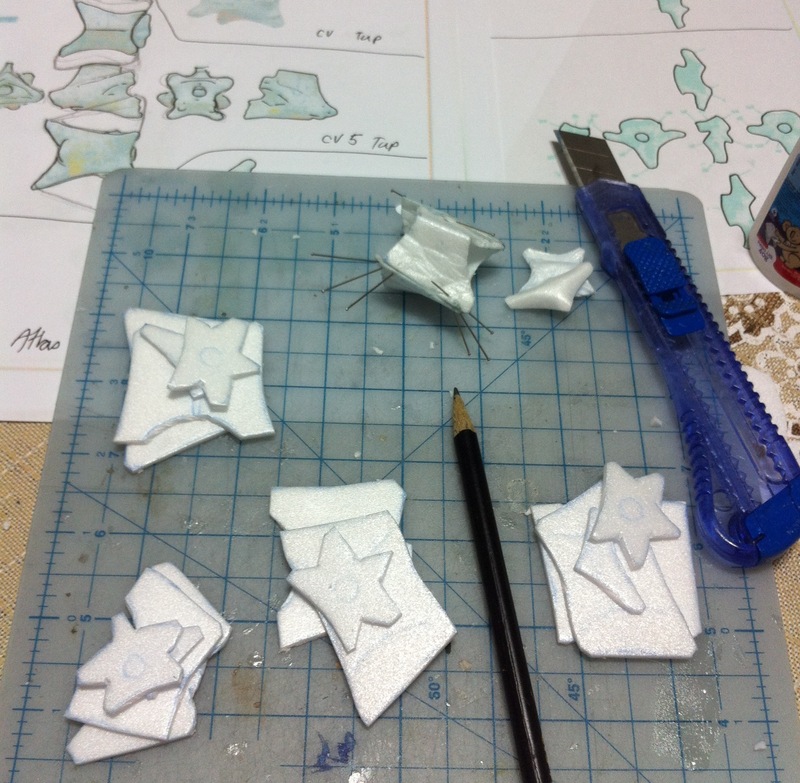 I started with some prototyping and made hollow cervicals (as I did before with Tupuxuara). 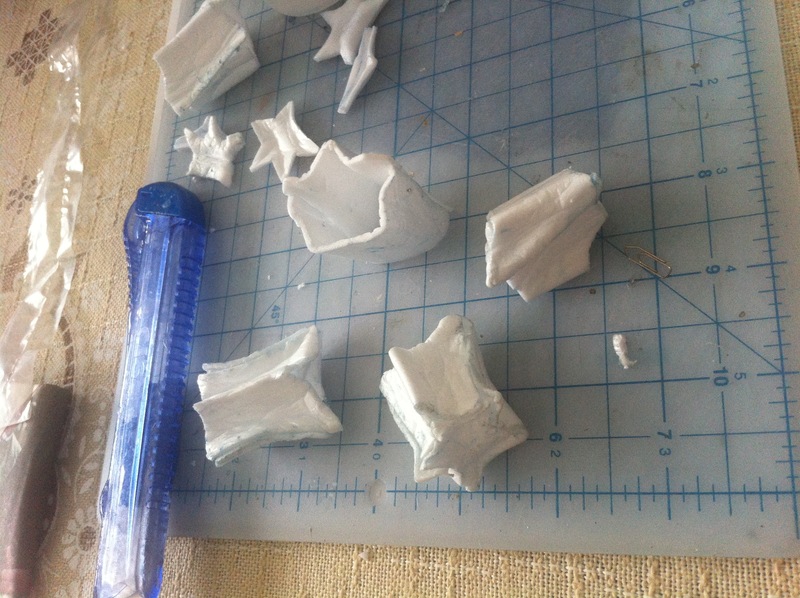 This time I used 2mm XPS foam (instead of the 5mm foam I used in Tupuxuara) since the Tapejara vertebrae are less than half the size of Tupuxuara vertebrae. 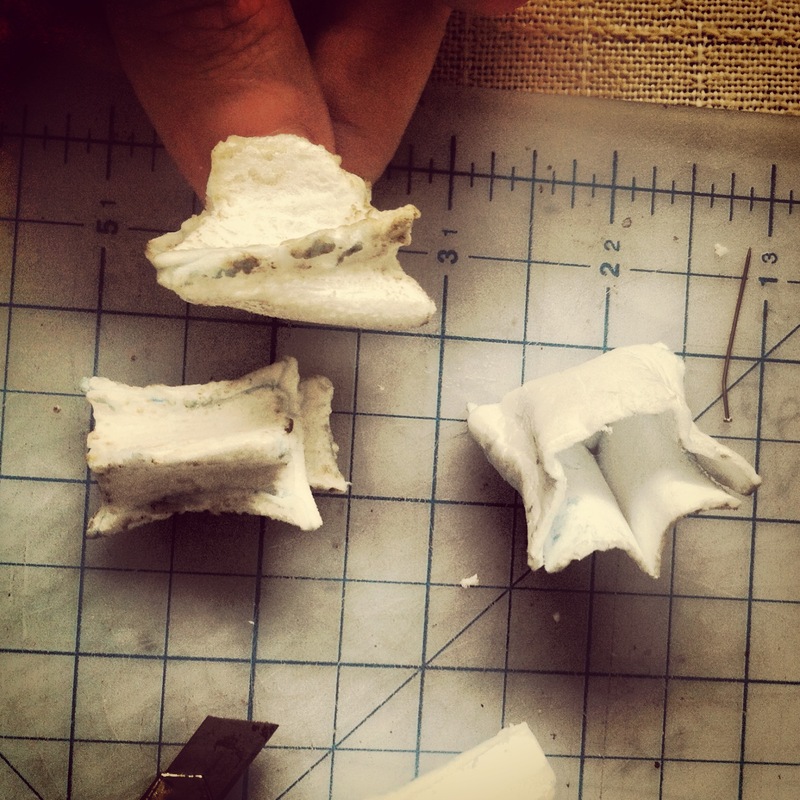 After assembling, gluing, shaping, adding texture and molding with a lighter, we have a prototyped vertebra. 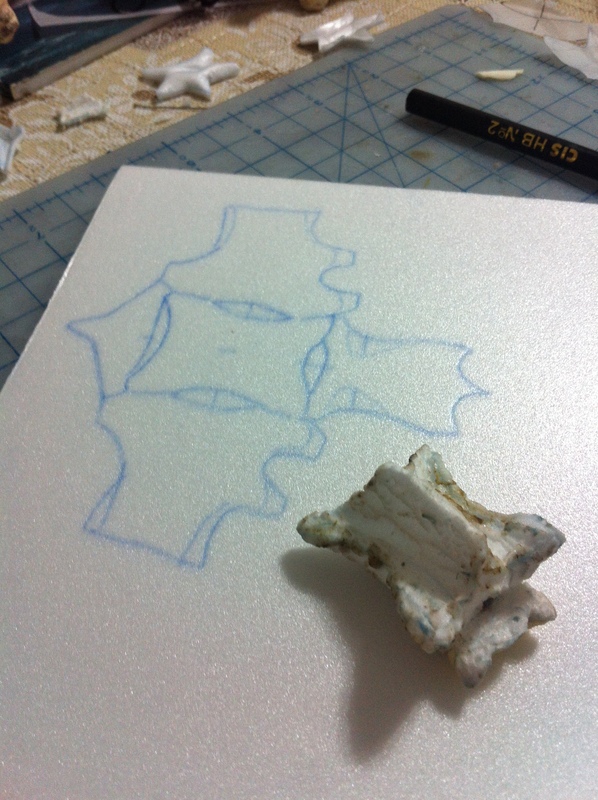 From those prototypes, I cut out the foam in this pattern for vertebrae 1, 2 and 4 (3 and 5 have a slightly different shape, a bit taller and shorter). 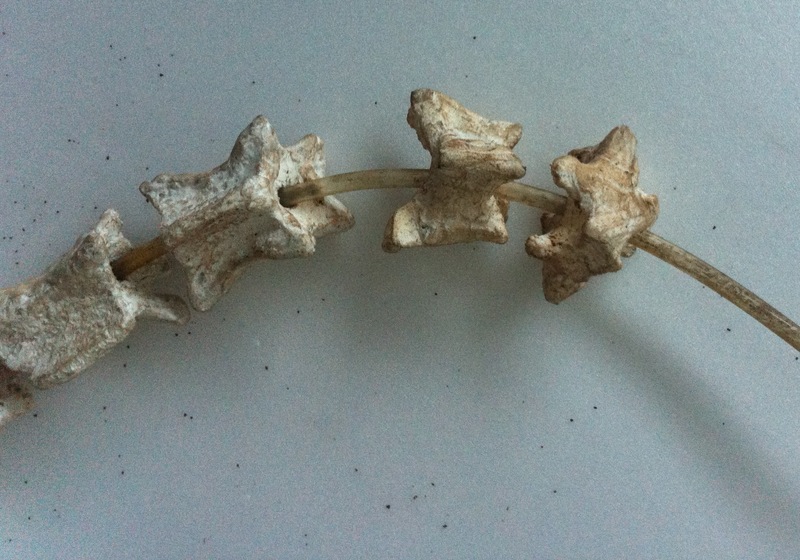 Here are the five vertebrae, after assembly and shaping with a lighter. After finishing all 8 (or 9 if the fused Axis/Atlas are considered 2), I made a spinal cavity in each one, and crossed it with a wooden skewer. Here is the Tapejara with a stiff neck. 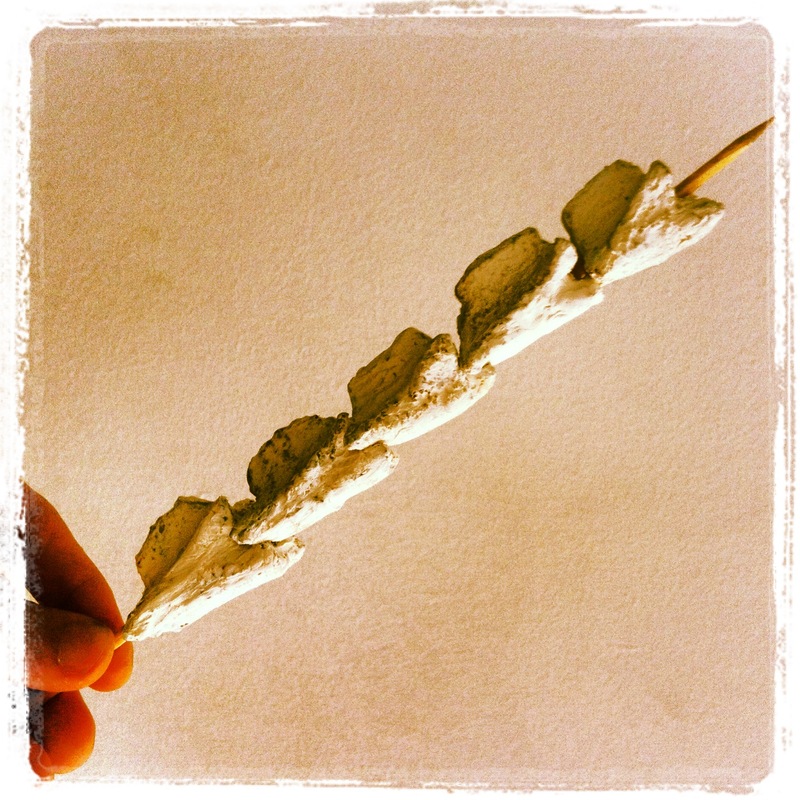 As I did with Tupuxuara, I used a rubber tube (4mm diameter) as a spinal cord. 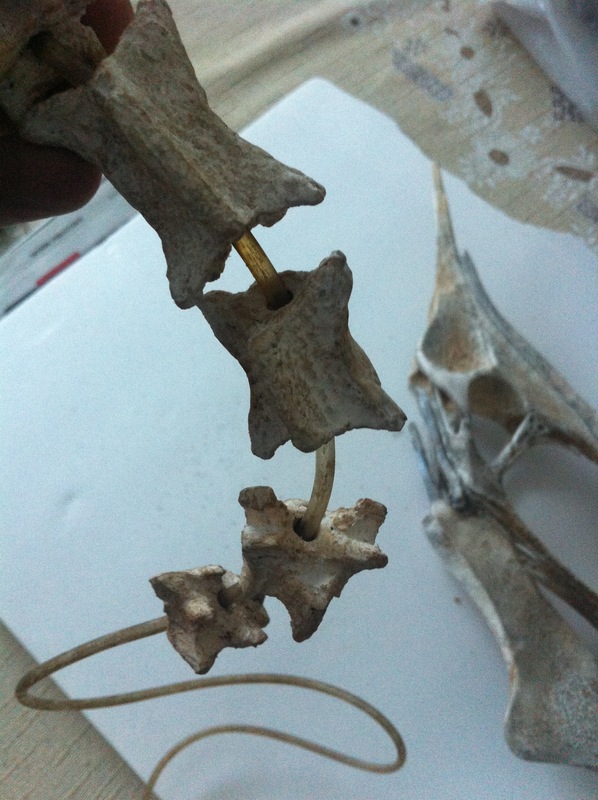 Here are the Axis/Atlas and seven other cervical vertebrae connected with the tubular medulla. 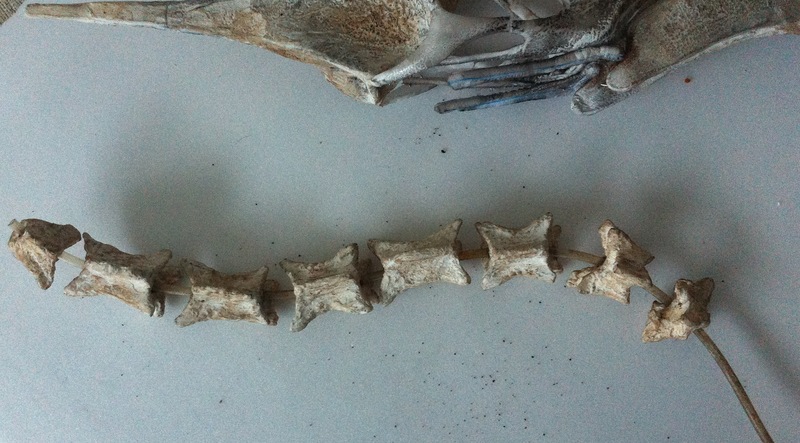 The last two vertebrae are slightly shorter. 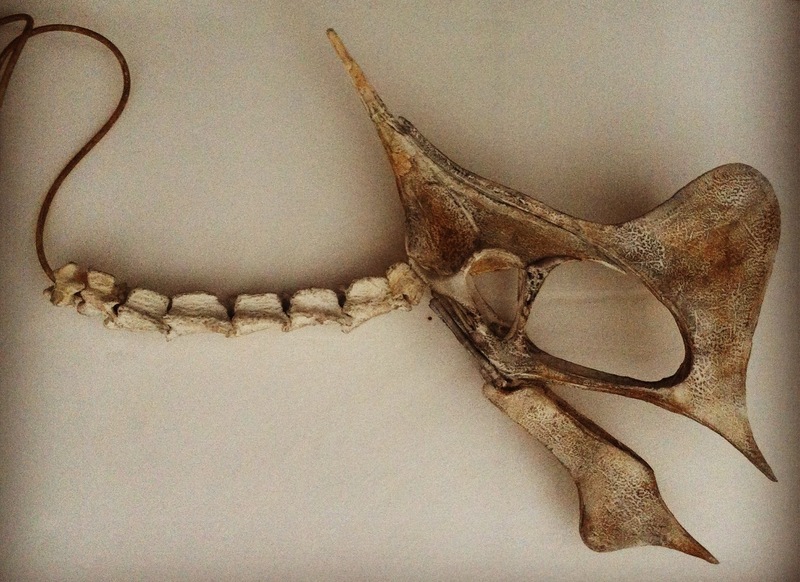 The neck is assembled connecting the vertebrae. It retains some flexibility (less to the sides, more up or down). And finally the Tapejara with the neck in place. 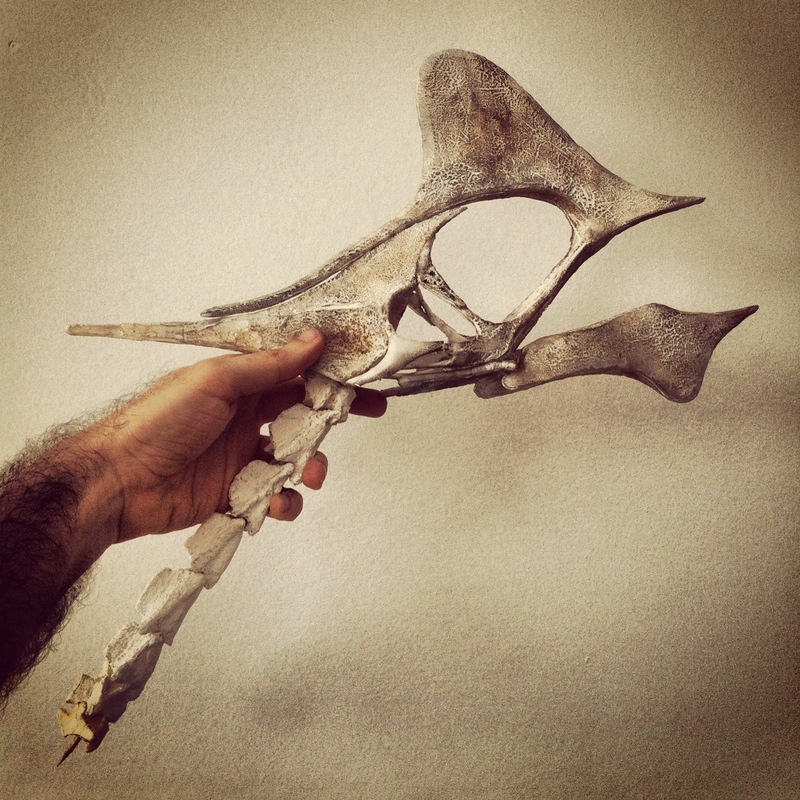 It’s still not possible to attach it, since the skull still lacks several posterior bones. 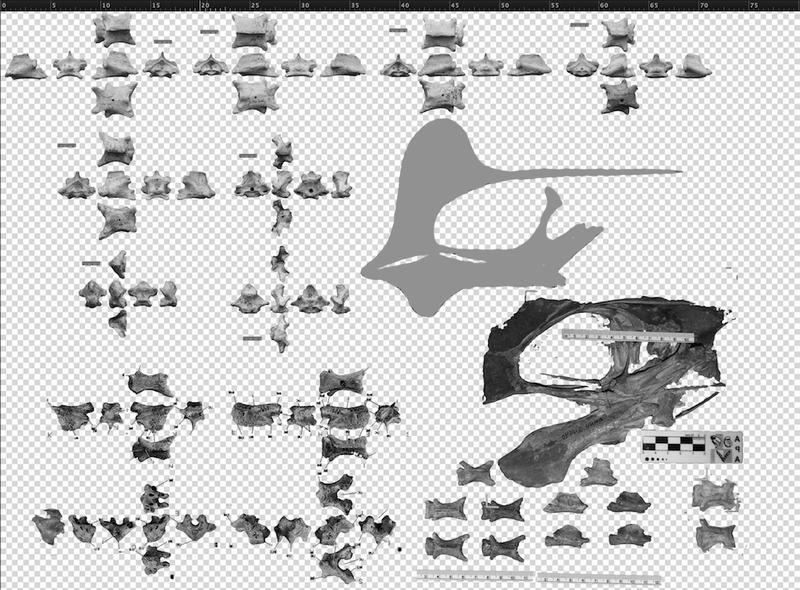 Tomorrow Tapejara will have some thoracic dorsal vertebrae.